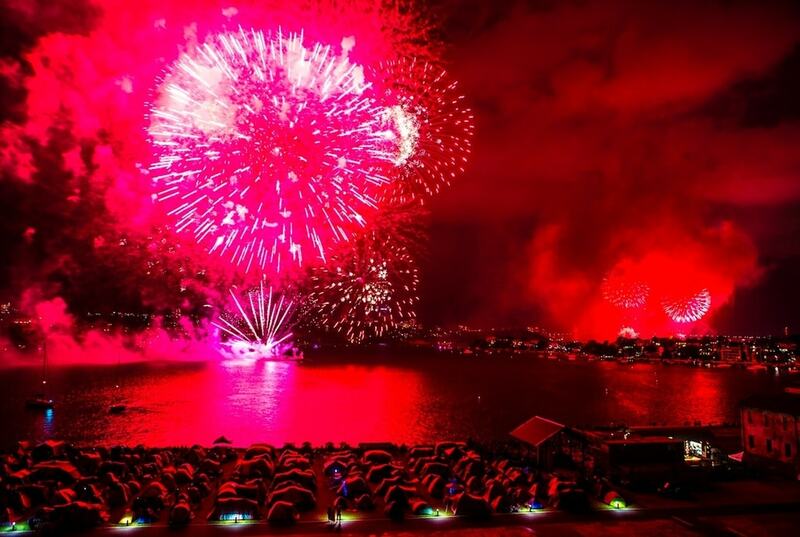 More than one million people flock to the Sydney Harbour foreshore every New Year’s Eve, all vying for the perfect vantage point of the multi-million-dollar fireworks extravaganza. But if you want to usher in 2018 with a little more glitz and glamour, have a look at these A-list parties taking place around the Harbour City on December 31. 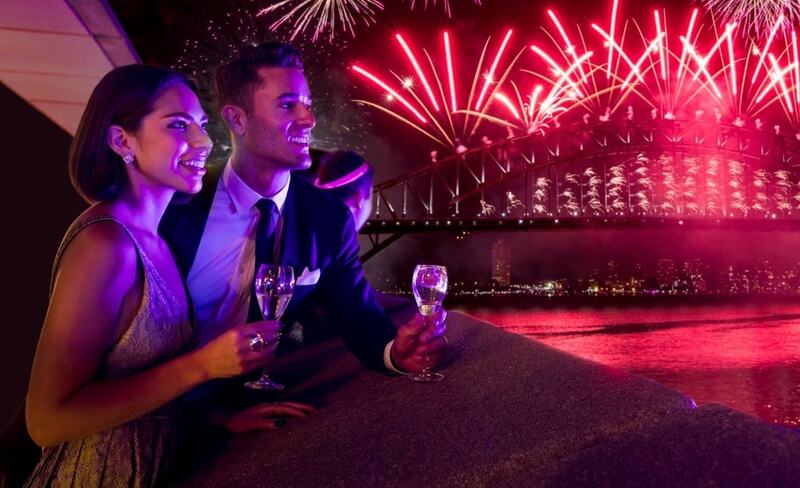 Most Sydneysiders jostle for a view of the city’s most iconic landmarks on New Year’s Eve… so how about having a party inside of one? The Opera House is hosting performances of The Merry Widow and Opera Gala, a three-course pre-performance dinner overlooking the water, plus a Midnight Party with canapés, drinks, live entertainment and a front-row seat to the pyrotechnics. 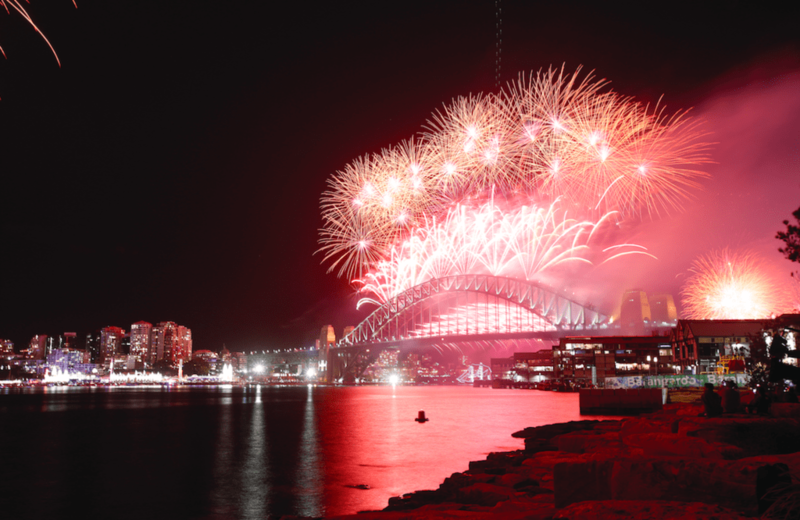 Such a massive New Year’s bash means that finding a way home after the fireworks is a nightmare — unless you spend the night on the Harbour, of course. Cockatoo Island offers camping and glamping packages for those who want to bunk down on the UNESCO World Heritage Site to guarantee their place in the heart of the New Year’s action. Observatory Hill enjoys a good enough view of the Harbour on a regular day, let alone when it’s illuminated by millions of dollars worth of fireworks. 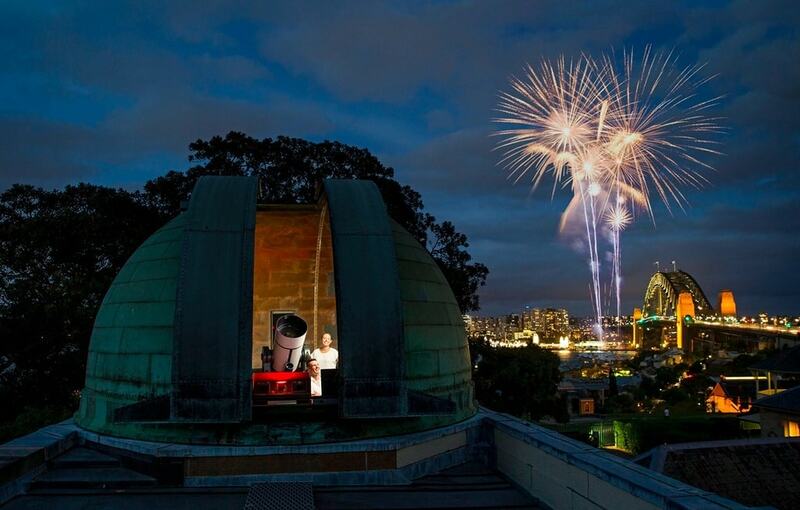 The Observatory’s New Year’s party includes a beverage package, canapés, late-night snack, live music, a photo booth for a souvenir selfie, plus a telescope viewing. One of the latest harbourside vantage points to join the party, the revitalised Barangaroo precinct offers a stunning perspective of the New Year’s festivities from the western face of the Harbour. Spread out a picnic blanket on the lawns of Barangaroo Reserve and enjoy a gourmet hamper or something from one of the four on-site dining outlets. 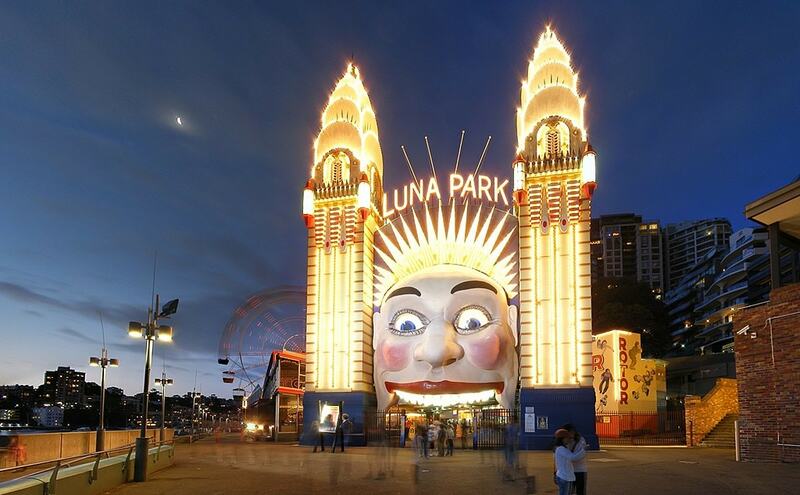 The rides of Luna Park will keep on whirling until 1am at Harbour Party, which transforms the harbourside amusement park into one of Sydney’s hottest New Year’s parties. A killer line-up of local artists and DJs will rock Luna Park until the fireworks take centre stage at 9pm and midnight. Feast on a seven-course degustation menu before you sink your teeth into 2018 with a private soiree at the Botanic Gardens Restaurant. This genteel open-air pavilion hosts a garden party on its private lawn in the heart of the Royal Botanic Garden, on the edge of the water. Victoria Park in Broadway is nowhere near the Harbour — but that hasn’t stopped this brand new music festival from promising the best New Year’s ever. 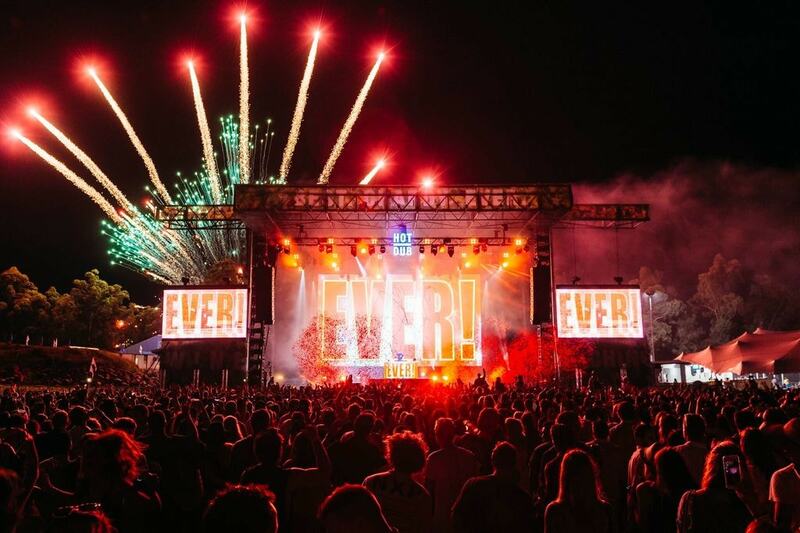 NYE in the Park has assembled a line-up of dance floor favourites 2manyDjs, Krafty Kuts, Hot Dub Time Machine and more, plus plenty of bars, food trucks and its very own fireworks show. See in 2018 from beneath the sails of the Sydney Opera House at this chic restaurant boasting uninterrupted views of the Harbour. Portside’s theme this year? A trip to La Riviera, with beachy vibes, breezy blue decor and free-flowing champagne. 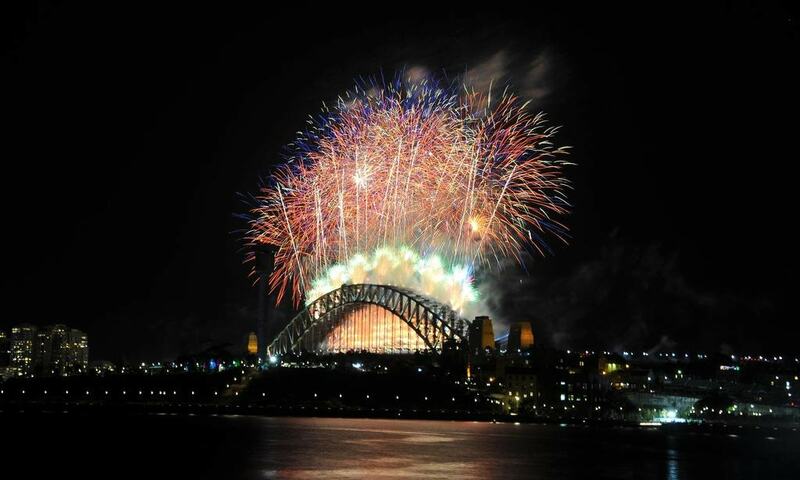 Party with tigers, giraffes and rhinos at Sydney’s harbourside zoo this New Year’s Eve. Taronga Zoo’s family-friendly event is perfect for those who want to check out the animals then watch the fireworks with a picnic… and don’t mind an elephant trumpeting in the background. 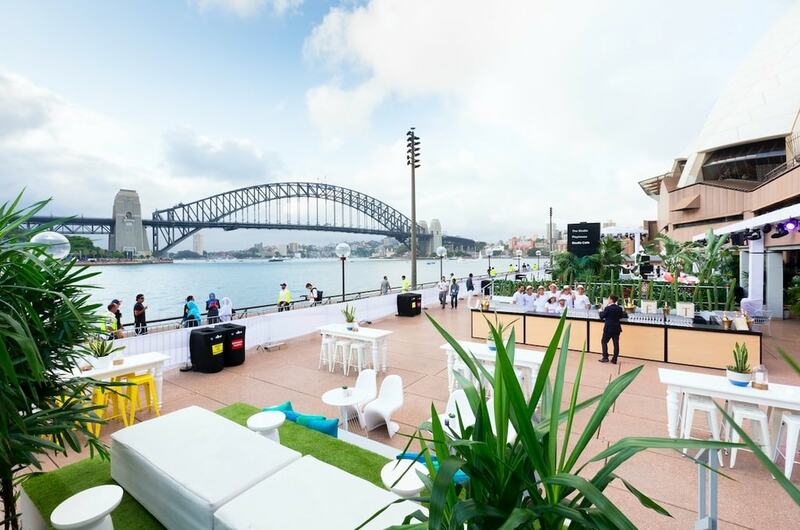 Snap up a ticket to this limited-capacity event at the Pirrama Park Wharf in Pyrmont, which offers fabulous vistas of the North Sydney foreshore and the Sydney Harbour Bridge. And you won’t leave with an empty stomach thanks to a menu designed by Jimmy Liks, one of the pioneers of Sydney’s modern Asian food revolution. This Cuban-inspired luxury cocktail bar overlooks Circular Quay from the third floor of the Pullman Quay Grand Sydney Harbour, and throws one of the trendiest New Year’s soirees in town, with Caribbean canapés, premium beverages and enviable views of the water.